Laura Izumikawa’s creativity is genius and Joey is just overflowing with cuteness! Those cheeks! That smile! My heart melts every time and I seriously can’t get enough. I like the behind the shot videos because you see Joey smiling a lot, yawn, fight her sleep, and then eventually close her eyes and fall into a deep sleep. The expressions on her face as she starts to fall asleep totally reminds me of when my sons, who are now 14 and 11, would look when I would hold them and watch them start to drift off into Nap World. I can still see their sleepy faces and remember the nap jerks, which would always make me giggle. My boys as babies seems so long ago and every once in a while, I admit, I get a bout of baby fever. But then the reality of actually having another baby at this point hits, and yeah, I’ll just live vicariously through Laura Izumikawa’s Instagram. 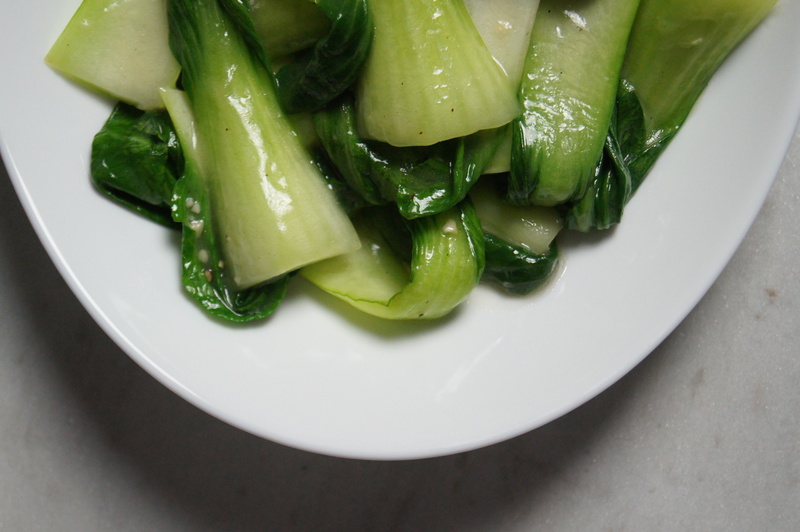 Sometimes I just want something simple and easy to make and eat, and this baby bok choy recipe always comes to mind. It literally takes minutes to prep and cook and it’s always satisfying. It’s perfect on its own as a main meal, as a side dish, or served over a bowl of rice. I especially like it when I put rice in a bowl, put the baby bok choy over it, and the sauce drips down into rice, flavoring it nicely. It reminds me of some of the vegetable dishes I would order in a Chinatown-style restaurant. In other words, the real deal kind of Chinese food. Though, I will never knock down Americanized Chinese food. Hello, egg foo young! This recipe also works well with other vegetables. When I haven’t had baby bok choy on hand, I’ve made it with broccoli, broccolini, and spinach. So good and so light. And though I haven’t tried it yet, I’m sure adding some shrimp or chicken would be good too. 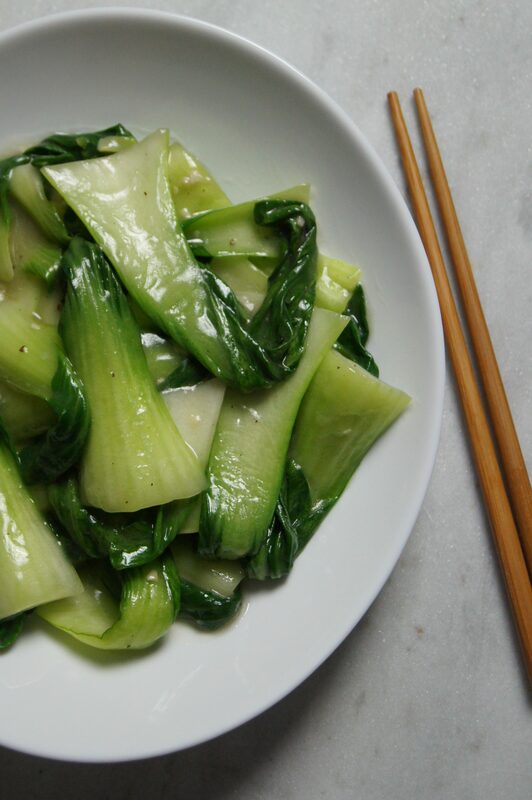 I would highly recommend making my recipe for Stir Fried Baby Bok Choy, and then enjoying it while you scroll through Laura Izumikawa’s Instagram, oohing and awing over baby Joey. Especially if you’re having a bad day or are feeling a little sad or lonely. 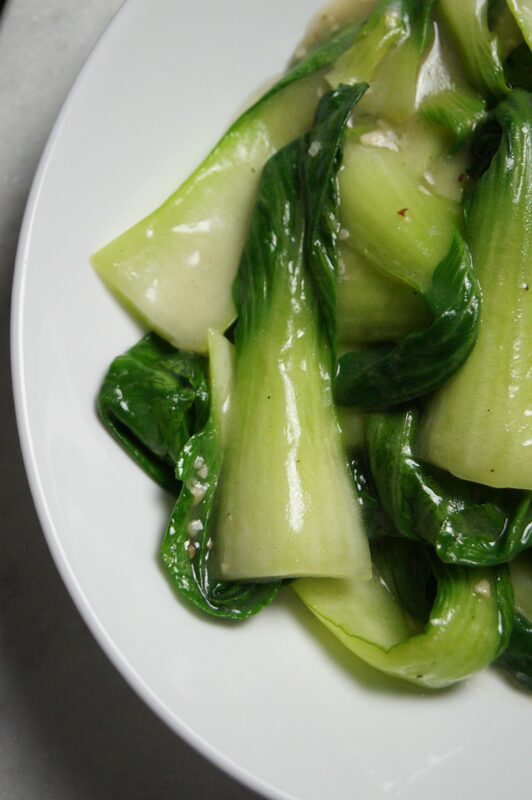 Her pictures – and hopefully my bok choy recipe – are guaranteed to make you smile and warm your heart. 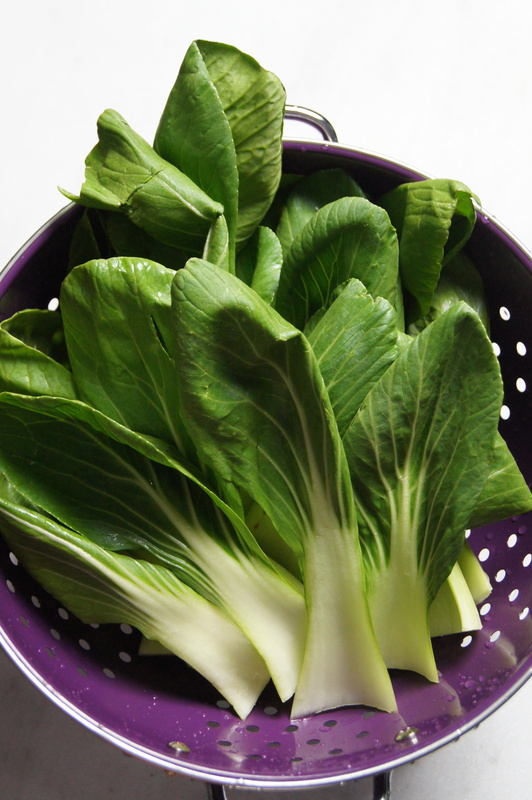 Trim and discard the rough bottoms of the baby bok choy. Separate the leaves and rinse. Let drain in a colander. In a glass measuring cup or small bowl, whisk the chicken stock and cornstarch. Set aside. Heat oil in a large wok or skillet set to medium high. Add garlic and turn heat up to high. Stir fry garlic for 20-30 seconds, until fragrant. 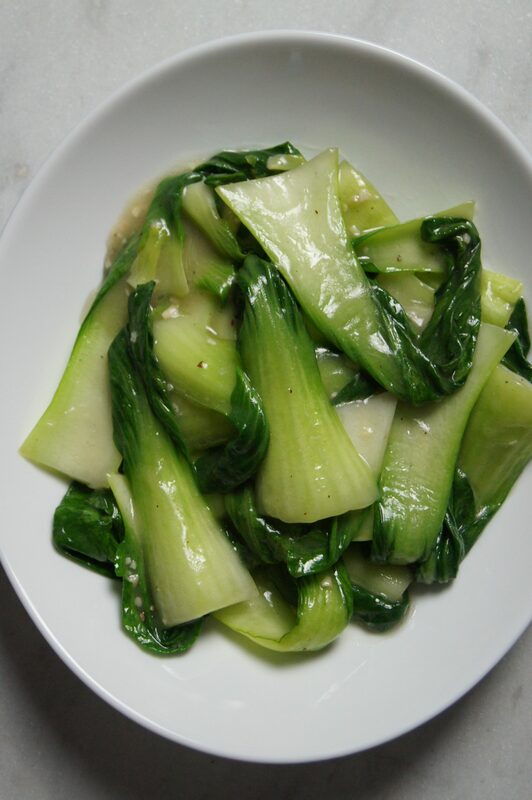 Add the baby bok choy and stir fry until the leaves start to wilt a little, about 2 minutes. Add the chicken stock and cornstarch mixture and stir fry until it starts to thicken, about 30 seconds. Remove the pan from the heat and season with salt and pepper. Add sesame oil and red pepper flakes, if using. Stir together and serve immediately.